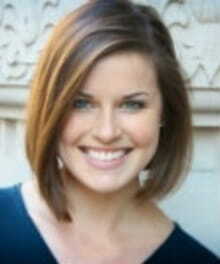 Kristen Wetherell is a writer, speaker and the Content Manager of Unlocking the Bible. She's married to Brad, loves exploring new places, enjoys cooking, and writes music in her spare time. Her desire is to glorify Jesus Christ and edify believers through the written word. Connect with Kristen at her website or on Twitter @KLWetherell. Seasons of spiritual dryness can be alarming, exhausting, even downright awful and heart-wrenching. I’ve had days, months even, when coming to the Word and spending time with the Father has felt like work, and I’ve struggled to feel his presence and love for me. I’ve wondered, God, where have you gone? I feels like you’ve hidden your face. The seeming silence of God and the lack of obvious, joy-filled, abundant fruit springing forth from reading the Word are trials that most every believer experiences in their lifetime. It feels embarrassing to admit because we as humans like “having it all together”…or, at least, we like putting on the facade that we do. But these seasons of dryness are worth talking about because we not only glean encouragement from hearing other people’s similar stories, we are pushed to remember what is true of God, his gospel, and his holy Word. In two very significant ways, those of us enduring dry spiritual seasons are not alone. Firstly, many brothers and sisters of the faith have gone before us in this regard. And many are enduring the dryness alongside us right now. Also consider Job, who felt God had deserted him and left him for dead; Joseph, who spent years in a jail cell, probably wondering when God’s purposes for him, as once revealed in his dreams, would come to pass; and the disciples, whose faces were sad and whose hopes were dashed after Jesus was crucified. Believer, you are not alone in your discouragement! We are accompanied by a long list of Christians who yearned for the assurance that God was indeed present with them, especially during seasons of dryness and doubt. There is comfort in knowing that there is nothing new under the sun; just as God has been faithful to his Church throughout biblical history, so he will show his faithfulness to us. That is a promise. Secondly, and more importantly, we are not alone because the very presence of Jesus is with us. How do we know that this is true? Where do we find assurance? At the cross. There, God turned his face away from his own Son, rejected him, and poured his judgment upon him – the judgment rightly deserved by you and me. Jesus experienced full and utter abandonment by God on the cross so that believers in Christ would never have to experience his wrath. Jesus died a lonely death so that we would never have to be alone. But Jesus did not stop there. Not only did he sacrifice his own blood for the forgiveness of our sins, transferring his perfect righteousness to our record, he then sent his promised Holy Spirit to dwell in our hearts, confirming to us that we are indeed beloved, accepted children of the Most High God. The good deposit of our inheritance in heaven, the Spirit is our Counselor, Comforter, and Helper, who ministers to us the gospel-reality that we are never truly alone. Knowing that we are not alone is well and good…but what do we do when we feel alone, when our Bible reading seems stale and our prayers lackluster? How do we practically put aside what we feel for what we know to be true? We can learn from an account in Luke 24. Two of the disciples were traveling on the Road to Emmaus three days after Jesus had been crucified and laid in the tomb. Jesus appears to them, but they do not recognize him. He asks them about their conversation, and they sorrowfully recount the events of the crucifixion, how their hopes had been dashed when Christ, the long-awaited Messiah, died on the cross. Jesus’ body was no longer in the tomb, and because the men could not see him anymore, their faith had faltered. So Jesus calls them “foolish ones” who are “slow of heart,” and he helps to open their eyes to see him clearly once again. He does the same for us in three specific ways when we are struggling to trust that he is with us in dry and lonely seasons. It is all too easy to forget what we know to be true, even the very foundation of our faith, when we feel far from God. The events of daily life, our insecurities, our doubts, and our fears can keep us from fixing our eyes on Jesus; instead, we become distracted by what we are “doing wrong,” by our immediate circumstances, even by false beliefs about who we say Jesus is. Have you forgotten the gospel of grace, that Jesus took your punishment so that you would never be left alone? Do you need to remember that you are God’s beloved, chosen, and accepted child, with whom he is well pleased because of his Son? Are you fixing your eyes on Jesus, the author, perfecter, and object of your faith, or are you depending on your own efforts to draw near to God? The Bible’s command to “wait for the Lord” occurs over and over again, especially in the Psalms. This teaches us that there will be times when we feel that waiting is all we are doing! Waiting actively, as we choose to abide in Christ through Bible reading and prayer, but waiting nonetheless. In Luke 24, the disciples’ eyes are opened to recognize Jesus only after he takes the bread, breaks it, and gives it to them to eat. Jesus is our Bread of Life, the Living Word, and we are nourished by him when we open the holy Scriptures to feed on his truth. Ultimately, it is Christ who feeds us with spiritual nourishment through the Bible, but we must choose to come to the table. It is Jesus who feeds us through his living, powerful, and active Word of truth, but we must choose to open the Bible and search its riches, expecting to hear from him. There may be seasons when our time in the Bible seems dry and lifeless, but we can rest assured that our devotion to abiding in the word of Christ is indeed producing fruit within us, growing us into mature disciples, and teaching us increasingly more about the love of our Savior. Keeping a record of God’s faithfulness toward us is a useful tool of encouragement for times when we feel distant from him. The next time you enter a season of dryness and you are wondering if God is present, think of biblical history and your own testimony, of all the times that God has revealed himself through his Son, his Word, and his Spirit. Brothers and sisters, think often of the faithfulness of God, especially when you are tempted to believe that he has left you alone to fend for yourself. Think of how he has supplied for your soul through the pouring out of his Son’s own blood. Think of how he has sustained your soul through the provision of the Bible and the gift of his Spirit. Think of how he has specifically provided for your daily needs. Think of his promise to glorify you when he takes you home! Proclaim his faithfulness to your own heart, take courage, and tell others of his goodness. Dried tears are evidenced on my face as I write this. I feel like a mess. I couldn’t stop the outpouring of anger that came upon me not thirty minutes ago. Pain and discomfort had re-entered my body this week with a vengeance, after an extended period of feeling well, stable, hopeful. So I reached my emotional limit and out poured the tears. Tears of anger, tears of fear, tears of worry. Even tears of thanksgiving for the breaking of my pride, though, I confess, the thankfulness sometimes comes through gritted teeth. The truth is, my body often feels like a mess, and I cannot make sense of much of it. This is where believing the truth comes into play. This is where I must redirect what I feel to be true of God to rehearsing what I know to be true of him. This is where God’s Word speaks straight to the pain. What about you? What mess are you in at the present moment? Are you dealing with a disease, or even a temporarily illness, that seems to be holding you back from activity? Are you in the middle of a nasty family feud? Are you married to someone who does not love the Lord? Are you about to lose your job? Here’s what is so good: the relevancy of God’s Word stands throughout time and generations. It it for you and for me, right here and right now. Joseph and Jacob, for example, experienced their own slew of messes within their lifetimes, and we have much to learn from their stories. …Jacob is giving his blessing to Joseph’s two sons, which will continue the promise of God to multiply a people for himself from their family line. The scene is reminiscent of a previous one (can you guess it?) where Jacob tricks his father, Isaac, into giving him the birthright that belonged to his brother, Esau. Deception in Jacob’s boyhood was followed by a series of messy life circumstances: fleeing from Esau and having to settle in a new land; wrestling with an angel of the Lord; raising twelve sons, some of whom were rebellious murderers; and grieving the loss of Joseph, his beloved son, when he is sold into Egyptian slavery by the very same hateful brothers. The Christmas season is often one of joy. But for some of us, it is one of hardship and sorrows. Perhaps you've lost a family member recently. Or perhaps you've been diagnosed with a disease you never saw coming. Maybe you're struggling with the same sin over and over again. Or maybe you're just plain tired! Whatever the trial you're enduring, such a generally joyful season can almost seem...unattainable or far-reaching...while you're in the thick of it. And it is. On our own strength, it is indeed. I was recently diagnosed with Lyme disease. This is the first I've written about it, and I have a feeling it will be cause for many more meditations in the future. But for now, it is one of those hardships that arrived slowly and painfully, confirmed itself quickly, and has made joy seem somewhat illusive throughout the recent weeks. It has made me cling to the cross all the more desperately. And it has made it clear that joy isn't easy. Sometimes, it's a fight. But praise be to God, joy has dawned in Jesus Christ! Joy isn't found in ourselves! And we celebrate our wonderful Lord and Savior as we anticipate Christmas these next twenty-something days. I hope you'll follow along with me in Isaiah chapter nine for the next few weeks, to absorb all the glory of Christ during Advent. While much of the book of Isaiah is talking about God's anguish over and wrath upon the disobedient and unfaithful nations, namely Israel, the book richly foreshadows the vanquishing of all sin and evil in the person and work of Jesus Christ (Matthew 4:15-17). Our anguish does not determine our eternal outcome. Often it can feel like our pain and distress determines some sort of outcome, be it our emotional state or the way we treat our families. And that very well may be true. When I find myself in distress, it often leads to tears. But tears are temporary. "But there will be no gloom for her who was in anguish." At the day of Jesus Christ, every tear will be wiped away from our faces! As we have been saved from the coming wrath, how much more are our temporary trials and afflictions but a momentary trouble in light of eternity with Christ? May our hardship and anguish be for God's glory, in that they point us to what is eternal. Christ makes us glorious, not ourselves. I don't know about you, but when I'm having a hard day, I often try to find comfort in worldly goods or pleasures. Putting on make-up and jewelry makes me feel better. Hot tea makes me feel better. A good book makes me feel better. But only temporarily. None of us can save ourselves, nor give ourselves comfort or lasting peace. And God knew that, which is why only Christ would be sufficient for our weaknesses and the final sacrifice for all our sins. "He has made glorious," says Isaiah 9. May the reminder of our weaknesses and our desire for comfort lead us to our Eternal Comfort, the Glorious One who alone clothes his children in glory and honor, peace and security, beauty and strength. Our joy is in our Hope. I remember playing games as a little girl, specifically the one where you turn off all the lights and have to find your way around the room. Scary, to say the least, with little hope for getting around without gaining a stubbed toe by the end. Jesus Christ, the Light of the world, came to redeem sinners who "dwelt in a land of deep darkness," who could not see the light of day, nor have any hope for salvation apart from his light. We once were stumbling around in the dark, just trying to avoid a stubbed toe now and then, with little concern for our spiritual state. But in Christ, we have been made alive and awakened to the Holy Spirit's presence and indwelling and richness! During seasons of affliction and trial, when joy seems hard to fathom, remember this: your joy is in your Hope. And your Hope is eternal, lasting, and indestructible. May the hope of the resurrection and ascension of Jesus strengthen you and cause you to well up with praise, as you meditate on all that is yours, eternally, in Christ. Check out more posts from Kristen at www.kristenwetherell.wordpress.com.